The ground floor also has a beautiful bedroom which can accommodate the younger or older members of the family without the use of stairs. The comfortable bathroom situated next to it was added for extra comfort. Upon entering the top floor you will be instantly captivated by the two comfortable bedrooms furnished with hand-made items. Between the two bedrooms is the second bathroom with a bathtub. When stepping out onto the two large balconies which are beautifully decorated, you realize that this is not an ordinary holiday house. The balconies face to the west where the sunset’s rays seem to magically reach out and touch the houses in the area. You also have a view of the house’s front yard with the private pool. Your holidays have just begun! Enjoy your stay! 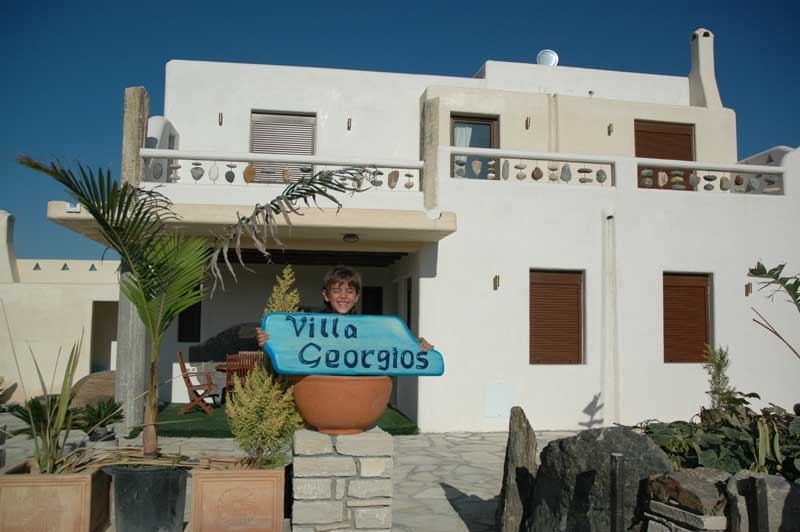 The villa can host up to 6 people.